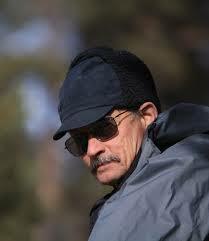 John Mionczynski is a wildlife consultant with field experience going back 40 years. His biological studies have spanned a broad spectrum from microscopic marine life to large ungulate mammals of the high mountains. Much of his research has focused on mountain sheep and grizzly bears. He has conducted studies on bighorn sheep in Wyoming and all over the intermountain west for the Wyoming Game and Fish Department, the U.S. Forest Service, and the University of Wyoming. He spent three years trapping, radio collaring, and documenting food habits and behavior of grizzly bears in the Yellowstone Ecosystem of Montana and Wyoming for the Interagency Grizzly Bear Study Team and U.S. Forest Service. Other field studies have included work with mountain goats, pikas, habitat analysis, fire ecology, and a biological survey in the Omo River Valley of Ethiopia. As a professional Ethnobotanist he has studied the tribal uses of edible and medicinal plants in Africa and North America. He is currently working with tribal elders to document the traditional foods and medicines of the Apsaalooke (Crow) tribe in Montana. In addition he is known for inventing and developing goat packing as a technique for transporting scientific equipment into remote and rugged high mountain ranges and glaciers. 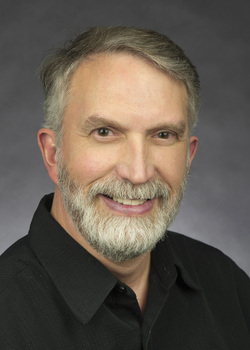 In this regard he has performed as a scientific packer for the U.S. Geological Survey, the U.S. Forest Service, the University of Wyoming, as well as his own scientific research. He has also written an authoritative book on the subject. While working for the U.S. Forest Service in 1972, he had an encounter with a strange unidentified animal in a forest camp which spurred a nearly 40 year quest to collect field information and sighting reports on the legendary 'Old Man' as it is know in parts of the Rockies...better known as Sasquatch. John began doing fieldwork with Dr. Jeff Meldrum and the North American Ape Project in 1999, and they continue the quest for scientific evidence to this day. has devoted over 6 years to unraveling the mysteries of the famous Patterson-Gimlin Film, using his vast knowledge of motion picture special effects, creature costumes, and filmmaking to examine the suspicions of hoax, and show why such suspicions have no merit. 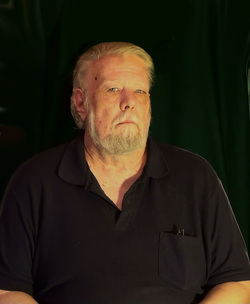 His professional experience fabricating effects and visual illusions covers the full spectrum of hoaxed, falsified, and staged events which plague the legitimate investigations into the bigfoot/sasquatch phenomenon. His dedication to finding the truth is uncompromising, and he shares his knowledge with the skills and insight of a veteran educator. FRIDAY NIGHT ONLY (MAY 16): Special Lecture to be presented on Friday at the Private Dinner with Speakers. There is likely no scientific endeavor or investigation more vulnerable to hoaxing than the study of the Bigfoot/Sasquatch phenomenon. It cannot be left to the skeptical people to prove hoaxes, because a true scientific method requires the investigator to apply a rigorous skeptical analysis to any evidence and dismiss any evidence that has been hoaxed or otherwise falsified. Only then can the investigator make a compelling case for why evidence supports the existence of this species, because the evidence was properly and rigorously vetted to insure that no falsified evidence was considered or included in the analysis. So it falls upon the investigator of this phenomenon to do a thorough hoax analysis of any evidence the investigator is considering or evaluating. And to do such, the investigator must understand the technology of hoaxing and the process of hoax detection. Bill Munns has spent over 40 years in Hollywood movie/TV professional endeavors where a realistic biological entity is fabricated, and the processes and technologies he used in that career are exactly what a hoaxer must employ to perpetrate a hoax or falsify evidence. Thus he brings a unique and knowledgeable expertise to this issue so vital to all investigators. Bill's Saturday lecture will be on the Patterson-Gimlin Film, and *NEW* revelations about the anatomy of the filmed hominid subject. 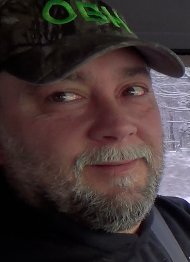 is a Cryptozoologist from Ohio who has been searching for Bigfoot for over 22 years. Tim had a sighting in 1992 at Salt Fork State Park while deer hunting and since then, he has spent countless hours in the forests of Ohio searching for answers to what happened to him on that fateful October day. Most of Tim's research is conducted at night, using thermal and night vision optics. Tim will be sharing with us his latest research conducted in Ohio, including evidence he has collected that supports the theory that the forests of Ohio are home to a mysterious primate. Tim lives in Northern Ohio and when he isn't out tracking the hairy hominid, he owns and runs a home remodeling business. Creature Weekend is proud to present this local researcher at the 2014 conference!